I all ways wanted to make a quadruped robot. And finally got a chance to make one. So i wanted to simplify the design with least possible hardware. To control the servos i wanted to use ARDUINO. I got Arduino mega with me. But that board is little heavy and my robot cant bare it. So tried for arduino uno or nano. I'm not able to find one in the Indian market and the cost is going beyond the budget. So i thought of making my own Arduino. This board consists of an ATmega8 microcontroller working at 16Mhz and almost all the pins are exposed in this board and each and every pin is associated with supply and ground pins. To load the arduino sketch into this board i made a sketch loader for it. In traditional Arduino boards FTDT chips(FT232) are used. It is a USB to serial devise. I googled about and found a similar chip which is a little cheaper in my local market called CP2102 from silicon lcbs. In this circuit diagram i didn't showed the Power supply for Arduino. 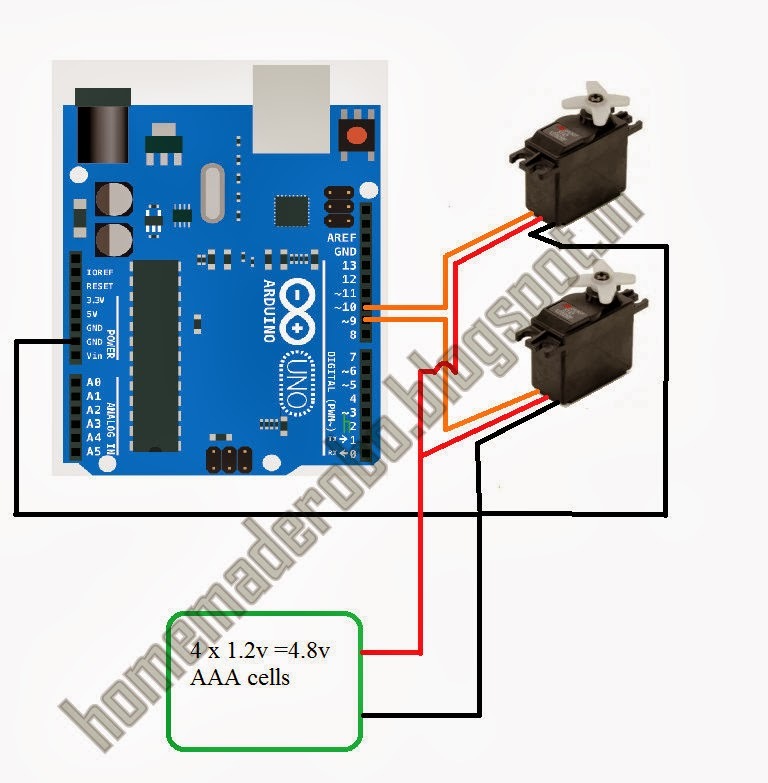 if you are using any standard Arduino you have to use a separate 9v supply for your Arduino board. 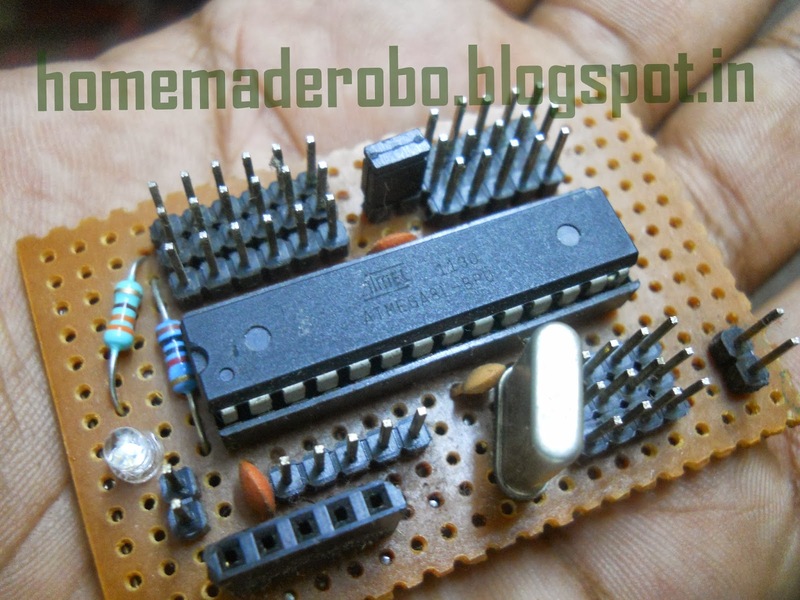 In this project i used an ATmega8L microcontroller(operates from 3.3V to 5V) with Arduino boot-loader. So i used a common power supply for both Board and Motors. when are you gonna start working on the Humanoid? Hi , can i use the Inverse kinematics to code the Robot ? very nice work but what the aim of project monitoring or control?? ?